UTC 20:17:40 + 40Y "Tranquillity Base here. The Eagle has landed"
A few years back I touched the moon. Or at least a piece that had been brought back by one of the Apollo missions. It was smoothed by all the fingers that touched it over the last few decades. Everyone who touched it has a few molecules of the moon. 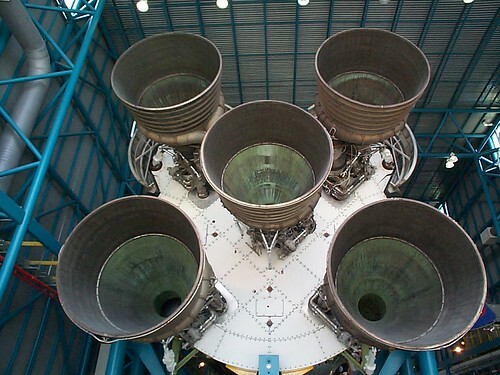 The same day I stood under the rockets of a Saturn V. Nothing quite prepares you for the size of the rockets that lofted the Apollo ships - and how little of it actually reached orbit. I've touched it too. I was about 5 at the time, and my family lost me at the Liverpool Show (which was then quite an important county show). I was eventually found in one of the marquees talking to Neil Armstrong, who was doing the UK public relations tour at the time. He had a piece of moonrock in a glass display unit but took it out and put it in my hands. It was not particularly surprising that I later decided to do an astronomy degree. I met Harrison Schmitt when I was an Air Cadet on exchange to Washington DC in 1979. I wonder which of the other moon-walkers your FL has met? Not everyone knows that in the UK, schools colleges and other educational establishments can borrow a sample of moon-rock as part of the STFC's Loan Scheme. 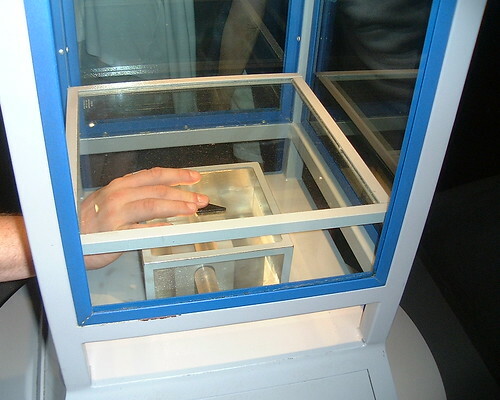 NASA used to do a huge travelling collection of mineral samples schools could use to get interested in their work, including micro-sections of moon rock, larger bits embedded in plastic, etc., but unfortunately nothing you could actually touch in that sense apart from some relatively common meteorites. The problem was that you had to keep all of it under lock and key when not in use, have someone (me) guard it while it was on display, account for every last bit of it, etc. We displayed it with other stuff related to our astronomy club at one open evening in the late nineties, and there was a real sense of wonder in seeing it all, but it would have been better if they'd let us have it for several days which would have let us use it in some lessons. Not sure if it's still available, once we get our new labs up and running I shall have to make enquiries. Oops - somehow missed seeing the comment immediately above before posting this!